I can tell that it's finally Spring in NC. The trees and flowers are in bloom and there's a new Kristy Woodsen Harvey book to enjoy sitting outside in the perfect spring weather. Here's the first paragraph of the first chapter. Would you keep reading? Time had lost its meaning. I only realized it was night because the water outside my bedroom window at my monther's home in Peachtree Bluff, Georgia, wasn't blue anymore. It was black and shining like fresh-paved asphalt. Bust inside, in my room, on my TC, it wasn't night. It was Saturday morning, the third precious birthday of my son Adam, Jr., or AJ, as we called him. My strong, national hero of a husband, in his off-duty khaki shorts and collared shirt, was holding our other son, six-month-old Taylor, in one arm. I was behind the camera cooing, "Smile for Daddy one more time. Can you smile for Daddy?" Taylor smiled. Who wouldn't smile for the handsome man holding him? 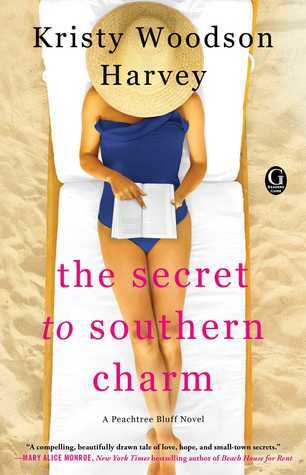 Note - The Secret to Southern Charm is Book 2 in Kristy Woodson Harvey's Peachtree Bluff series. You need to read these books in order to get the most enjoyment out of them. 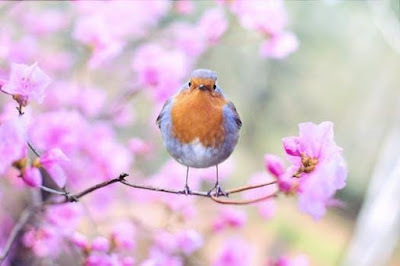 "This putting on a brave face, carrying on, helping others, being kind and humble and giving, believing with all your heart that the world could be a better place and that maybe you could make it that way...that was Southern charm." 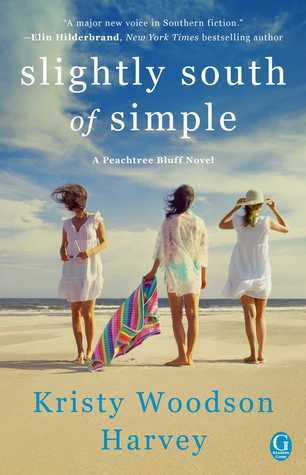 The second book in the Peachtree Bluff trilogy takes us back to Georgia and the family that we loved from book 1 - Ansley, the mom, and her three daughters - Caroline, Sloane, and Emerson. Book 1 centered on Caroline's life and book 2 centers on Sloane but both books are about the issues facing a family and the love and unbreakable bond between the family members. In this book, Sloane's world falls to pieces when she finds out that her husband is missing in action. It's up to her sisters to help her and her children get through this crisis. There is also an addition to the household when Ansley's Mom comes to visit her daughter and granddaughters. This is a fantastic book by a wonderful author who always writes believable characters. I live in the South and I know these people in my day to day life and I was so happy to have them back for book 2 and can't wait to read about them again in book 3. Once you get to know the family, you'll laugh with them and cry a few tears and think about them long after you read the last page. Southern Fiction is my favorite genre and this series is one of the best that I've read. 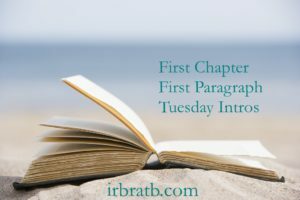 I reviewed the first book in the series last April in my post about upcoming beach reads. Here's what I thought of Slightly South of Simple. Kristy Woodson Harvey has done it again!! She has written a book that has fantastic characters, wonderful setting and an engaging plot. This is book one of a new trilogy and I can't wait to read the rest of the story. SETTING - as with Kristy's other books, this one is at the ocean. You can smell the salt air and feel the ocean breezes as you read the book. The setting is practically one of the characters. PLOT - there is a lot going on in this book but it is well told and so much fun to read. Yes, I will admit that there were several laugh out loud moments as well as a few tears. CHARACTERS - to me this is the strongest part of this novel. I loved these characters. I feel like they are people that I know and that I could sit down at the table and have a cup of coffee with them. The sisters are so different from each other but the bond between them is unbreakable. SUMMARY - READ THIS BOOK! It's a wonderful story about growing up and overcoming adversity. It's a story about love and family - the sisters are wonderful and that bond between them and their mother, though tenuous at times, continues to grow. It's a wonderful book about love and family and isn't that what life is all about? Did you love ArmchairBEA and sad there won't be one this year? Then, join us for the Book Blog Expo, a virtual networking event, on May 30 - June 2. This does sound like a good series. This week I have Shattered Mirror by Iris Johansen. Happy reading! I plan to read this one, as I loved Slightly South of Simple and those characters. I enjoyed Slightly South of Simple, so I'll definitely be reading the next books in the series. I love family stories. My Tuesday post features excerpts from Goodbye to the Blues. I've loved every book by Harvey that I've read so I'd definitely keep reading. I've been seeing this book around and it looks so good. I'd definitely keep reading. That opening paragraph is sweet. I'd like to keep reading.